So in case you haven't heard of it yet, Don't Starve is this awesome Indie game. So I have 4 different email accounts, my personal one, and then 3 other ones for the different universities I’ll be attending this summer for classes (YEAHHHH, it’s a drag). So anyhow, I figured I’d make it easier for myself and go ahead and use Airmail to integrate everything into one place. This is the story of that plan which initially kinda failed, but was then successful. Kudos to Airmail for being generally awesome. Integrating my personal email was very easy, I didn’t even have to do anything too advanced. This is how it ended up looking like in the Account Preferences pane for Airmail. However, if you have the 2-step security enabled for your Gmail account (I do), you will have to create an app-specific password, which really isn’t too hard at all. SO Then I went on to my VCCS email. This too was very easy to integrate. I just chugged in my email and was set. Looks pretty much exactly like the settings for the personal gmail account. 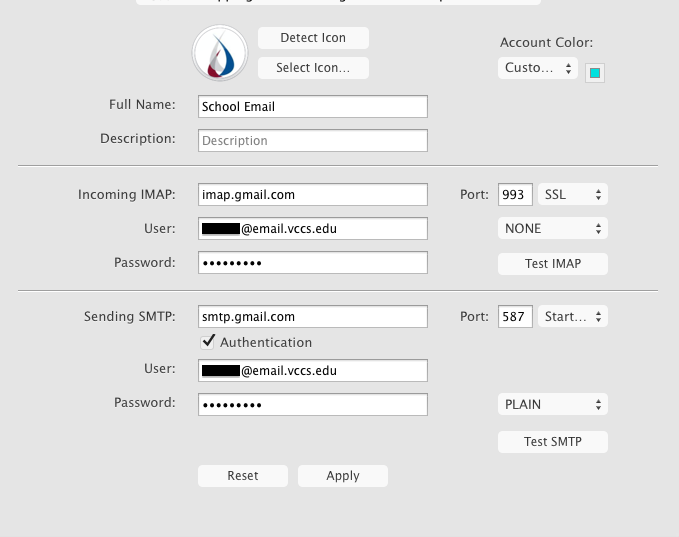 After VCCS was set, I looked closer first at what ODU could do for me, and it turns out, I actually needed to set up an app-specific password through MIDAS, which is the Monarch Identification and Authorization System that ODU has for all their students. This is where you are going to want to click where it says Set a service-specific password and set up a password. Done! Okay, now that you have your app-specific password, you can use that password to set up that Airmail account. You see, soon enough I found out I was unable to integrate the last of my three school emails (@hamptonu.edu). Airmail just couldn’t validate it. This is what popped up when I tried to add that particular school account. 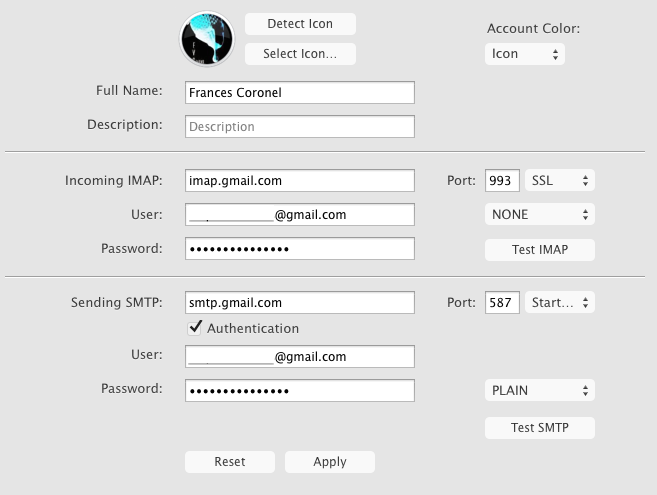 I couldn’t add an app-specific password, enabling IMAP did nothing, I used all my different school passwords, different port numbers, yadda yadda, nothing. This is where we are going to forward all the mail from the school account to either your main account or a school email or just another email account of yours in general. If you lack an account, you can just make a new one and then set the new one up with Gmail, so that it integrates with Airmail. As you can see, my testing email worked! The email sent from my Hampton school email account was forwarded to another school account, which in turn is already directly set up with my Airmail. All my school emails have now been integrated and I will no longer have to constantly sign in to Gmail one account at a time (which is SUPER annoying). 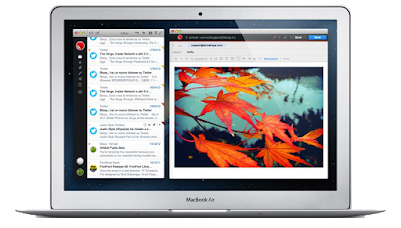 All in all, Airmail allows me easy and might I add very professional looking access to ALL my email accounts, which are now nicely organized for me to go through. Let me know how this works out for you guys or if you have questions or concerns, don’t hesitate to ask - I’m here for you.